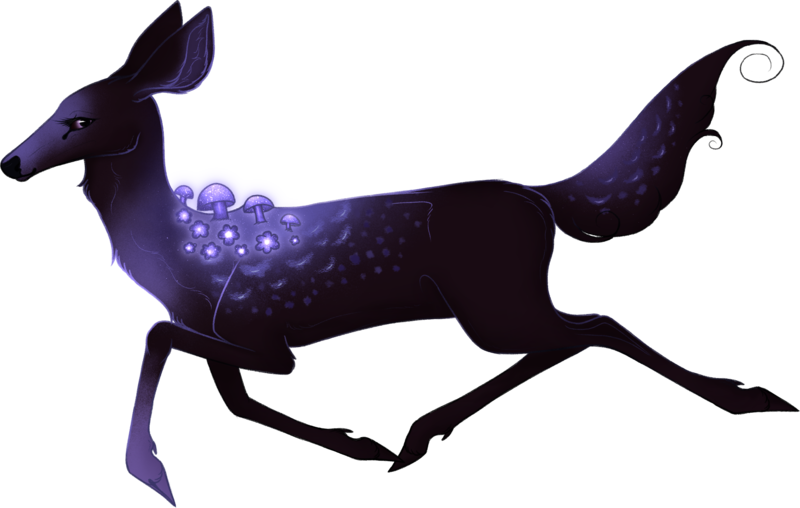 Ixnay should be considered IC while in TEF unless interacting with new players, unnamed deer, or casting spells. However, I'm often tabbed out so if Ixnay isn't responding in-game, feel free to message me on Discord! 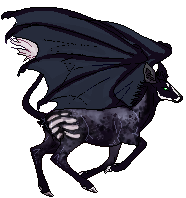 - Born outside of the Forest, and seemingly abandoned a few months later. 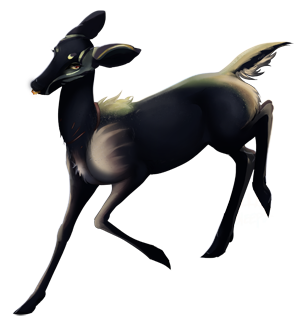 - Eventually "stumbled" into the Forest and spent a significant amount of his youth there, playing with other fawns while maintaining a distance from them. - As a young teenager, he found a way to leave the Forest but struggled to find his way back once he left. - Spent his adulthood aimlessly exploring the world before finding his way back to the Forest. - Seemingly unable to keep still even while standing still; wings twitch, ears twitch, tail twitches, etc. - Exhibits a deep sense of wanderlust; must always be traveling, even if it's only a short distance. - Gets a little bitey/nippy sometimes, especially while horsing around. - Adores fawns and has a decent paternal instinct, though is more Fun Uncle-like than fatherly. - Able to enter/leave the forest by flying high above the trees and basically enters a foggy loading screen-esque grey zone before landing at his destination. - Eyes are sensitive to bright light. - Teeth are bear-like; sharp canines with flat molars. - Eats a lot; will basically eat anything that's edible. - Can kick up quite the dust storm by flapping his wings. - Wings molt every few years, leaving him grounded until the feathers regrow. - Struggles with swimming as his wings weigh him down; should his wings get completely soaked, he cannot fly until they dry. - Remembered as a boisterous laugh. Unknown, but not forgotten. - An unknown in Ixnay's life, but of no concern. - Spent some time wandering the Forest again, getting himself reacquainted with the landscape. Pixel icon is by Hosslord. The only dark themes present should only be the dark page theme itself. Ixnay is mine and mine alone. Please do not copy his likeness or use his art. That said, Ixnay is a fictional character and should be treated as such. This character's behavior does not reflect my own. CSS template and various other codes from Unplugged. Best viewed in Google Chrome, 1920x1080. Damn, that's a nice peryton. Damn, that's a nice picto. February 6, 2019 - 3:55pm — Salome. His design is everything so beautiful!